I like reading on my laptop and Kobo, still I prefer to read something tangible that I can flip the pages with my fingers like magazines. Often I stumble upon websites in USA offering free trial magazine subscription; so, I was hoping to find one in Canada. Luckily, I’ve collected a number of blogs about deals, coupons, and bargains. I can’t tell on which exactly where I’ve seen a post about a free trial on the first issue of Best Health. I would immediately take notes because I just can’t rely always on my memory; next time, I can give credit to whom it is due. Since I read the March/April issue, I know I have to subscribe but I don’t need to spend much. Hold your horses; allow me to say more what I like about it besides the fact that searching the net has led me to a worthwhile read. Every page is a reason why I don’t regret subscribing. I like having things in order; one main reason why I like reading it. Best Health is divided into four equally well-written parts: look great, get healthy, eat well, and embrace life. So much that I like to delve on each part, I think it is better to enumerate few that perhaps you’ll like as well. With so much to choose from in stores, I’m relieved to find product reviews in the “Staff Tested” section. I may not buy because I don’t need it yet. Well may be at some point. Products proudly made in Canada are showcased in each issue providing a chance for awareness about products people might not heard of yet continue thriving. I was looking for a hand cream to remedy dryness caused by a winter-like weather; in one of the issues I found Glysomed and bought one in Costco. I’m satisfied with the result and I have Best Health to thank for. Update: O’keeffe’s Working Hands is my favourite all-season hand cream. When I see website and application links, my curiosity grows. I have to know; otherwise, better yet forget it immediately if I don’t have a laptop or iPhone. The three amazing freebies are always a treat, teaching tricks from home improvement to fashion. I simply couldn’t miss such knowledge. Stretches, yoga, and exercises requiring different equipment are just enough to encourage anyone to get up and move. Each morning or any time of the day, I do my daily yoga or stretches. Recently, I’m squeezing jumping rope with my regimen. But I still want to try new exercises and see if it works for me. Trying those “New and Now” exercises is part of my Best Health routine. I may, or closer than I imagined should learn how to cook a meal with a real name based on a recipe and not just a fluke, mixed-up meal. For now the recipes are my inspiration but I’m sure looking forward and have the confidence that I can pull off the nutritious, sumptuous smoothies. I’m not going to dissect each section any further so as to substantiate why I’m fond of reading and looking forward to delve every issue. You can have a look at it on bookstore or on the Internet and see if this Best Health is just right to be part of your healthy lifestyle guide. And if you do, allow me to guide you on how to have one in so many ways. Whichever you choose, you’ll definitely save much. Check online group buying websites. You have to be on the lookout for this and regularly check because sometimes they offer a two-year subscription. I’ve often seen this deal and chose to ignore since I haven’t read a single issue. Well, I did skim fast while in a bookstore but it is different when you’re reading while drinking hot coffee in a chilly evening. Don’t forget to choose your city; nonetheless, deals such as magazine subscription are offered nationwide. 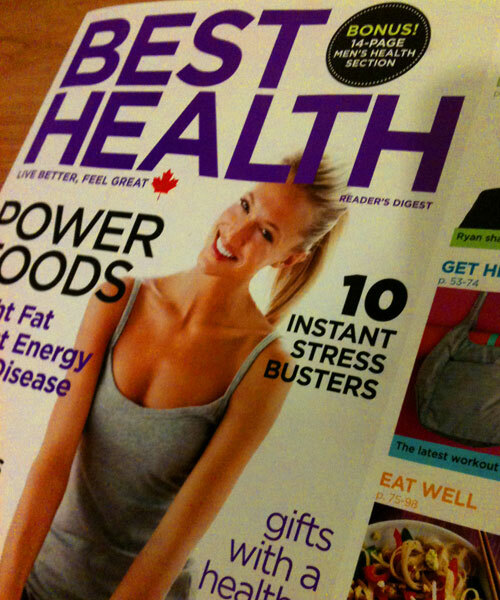 Order via Best Health Magazine. Order via Rogers Magazine Service. Subscribe for a fee and earn Air Miles points as well. Go to Air Miles Shops. Enter your collector number. You’ll be redirected to rogers magazine website. Find Best Health and click add to cart. From here you have to enter personal and payment information. Congratulations! For that, you’ve just earned 15 Air Miles reward miles. From what I can remember, I opted for the latter. I wasn’t that keen in earning Air Miles reward miles but if I’m going to spend why can’t I gain points as well, if possible. It’s been a long post or should I confess that it has taken most of my time writing because I didn’t stick to my new blogging habits that are supposed to aid me in writing faster and staying focus. There will always be next time. May you enjoy your subscription. Don’t forget your coffee or tea as well.